Sanitary clamp check valve is a type of valve which opens and closes relying on the medium flow itself. Sanitary stainless steel check valve disc will open when the pressure of stem bottom exceeds the stem above. The check valve disc will close when the two pressure are equal. So that the flow goes one way in the pipeline, and prevents the fluid from flowing back to avoid the accident.It needs pressure about 6kpa to open the valve if the check valve is installed in a vertical pipe. Maximum pressure for conveying material is 1000Kpa. The proper temperature scope is -10°C-140°C.Widely used in various processes throughout the sanitary industry, these sanitary check valve are safe and highly reliable. 3A Sanitary food grade clamp check valves could be fabricated as per client's requirement and drawing. • Gaskets: EPDM, VMQ (silicone), Viton (FPM) for choose from, all complying with FDA 21CFR177.2600. •Temperature:14 ~ 248°F (-10 ~ 120°C) with EPDM seat. •Surface treatment: Ra 32μin (0.8μm) as default, others available upon request. • Third party inspection available. If you have need these valves ,please contact us anytime. 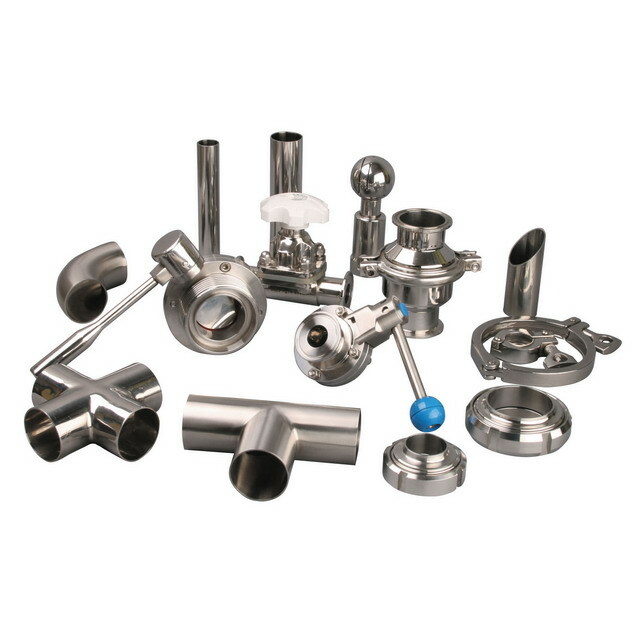 -We are one of most competive manufacturers/exporters in China on sanitary products,sanitary fittings, Sanitary Valves ,sanitary union, sanitary clamp, sanitary filter, sanitary pipes, etc, contact us directly for more items and better prices! Looking for ideal 3A Sanitary Check Valves -no Return Manufacturer & supplier ? We have a wide selection at great prices to help you get creative. All the 3A Food Grade Check Valves are quality guaranteed. We are China Origin Factory of 3A Hygienic Grade Check Valves. If you have any question, please feel free to contact us.